What blog posts that started the controller games suggestion catagory. There is two blogs that people tend to really like on my site dealing with gaming and in particular setting up controllers for the PC for couch/party gaming. Chinese Xbox 360 receiver tutorial. This is the one that started it all. China is making receivers by the thousands which is really good because there is hundreds of thousands fo Xbox 360 Controllers out there in the wild. With a little bit of driver manipulation your old Xbox 360 controllers hooked up wireless for some professional couch/party action. XBCD for windows 10 tutorial. The original controller which came with the 1st generation Xbox can still be used to this very day! Often times you will find controllers like the Original Xbox at places like thrift stores and used video game stores for ultra cheap as no one wants them anymore. There is a handful of wireless classic Xbox controllers but the wired ones are the cheapest of them all. With a little bit of splicing of USB cables to fit a regular PC port you too can use these blast from the past controllers on all of your modern games. Other methods not mentioned in blog postings. 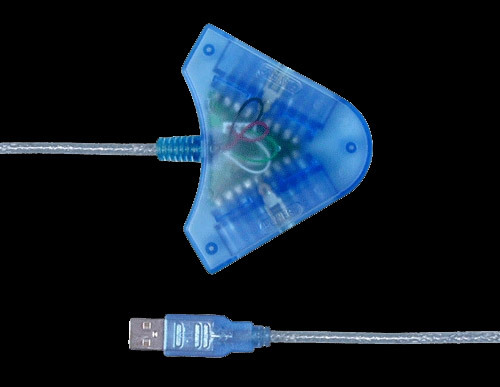 PlayStation 2 to USB Adapter. There’s also many Playstation 2 to USB adapters. But as mentioned in a blog involving StepMania. There is some known latency depending on what kind of USB chipset these adapters are hooked to. I should note that you can get wireless PlayStation 2 controllers but you will be paying more for those. This is a cheap and quick alternative for those looking for couch gaming action with their friends. 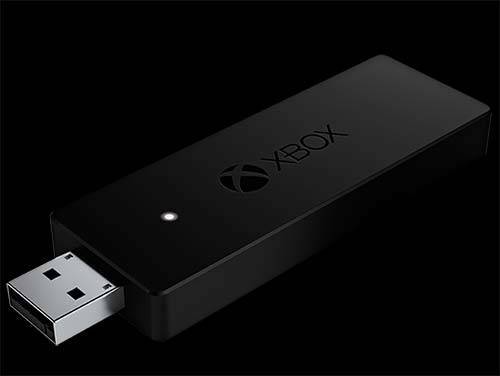 If you are starting from ground zero when it comes to controllers for your PC and you’re willing to spend the cash then an Xbox One Controller paired with a Xbox One Wireless Adapter may be the way for you as well. The latest gen Xbox One Controller corrects the terrible D-Pad issue while also offering a better interface for USB charging. Although it’s not necessary to have the wireless Adapter to actually USE the Xbox Controller. It makes the gaming experience that much more enjoyable. Controllers you will want to avoid. If there is one word of caution I will give to anyone reading this is to stay far away from both the wired Chinese controller as well as the wireless Chinese controllers. Although the wireless adapters they make for the OEM Xbox Controllers are good enough these controllers are not to the same level of quality as what you would find on a OEM Xbox controller. The analog sticks are overly sensitive due to the low-to-high envelope. The analogs use cheap variable resistors which have little middle ground when moving around. The BAXY buttons lack any sort of “click” to them and the lower shoulder buttons that you would think would behave like analogs do not and sometimes the buttons even stick! Also note that the wireless adapter given with the wireless controller may not even be 2.4Ghz! It’s proprietary and/or it could be dumbed down to radio signal quality! You will note most Chinese Xbox Controller have no “X” symbol on the middle start button. No where on these controllers will you find the word “Microsoft” anywhere on them. To add insult to injury. Some of these controllers on Ebay don’t even sync with an actual Xbox 360 because they give out a USB manufacture ID that doesn’t match anything in the dashboard listing. This leaves you to use such controllers on the PC only. Time to get your money back! If you get these controllers. My advise to you is get your money back on them as often times the description they post on Ebay for controllers like the ones above is so misleading that you can easily win your money back just off of “Product not described”. If you got one of these from North American company GameStop. It’s because the employee can’t even tell the difference. Or ,the manager at said GameStop has no soul. Either way get your money back if you can! Other Crazy notes about these controller suggestions. “*” – Controller cost can vary from country to country. Low-prices can be based on the used/refurbished market and prices may or may not include shipping and handling. Also note depending on the article such as original Xbox cost is reduced to $1 as often these require hardware do-it-yourself level modification which has a minimum $1 cost set. Onward to the controller games! Alright, now with the history out of the way lets dive right into the various games that you can play with controllers on PC. Once again please understand that this is not a complete list and there’s plenty more games still out there. We will try to provide as many links as possible to acquire the game. Available on: Steam , Humble Bundle. Description: This is a side scrolling fully destructive platformer where it can be played in single player or with a party as you run around screaming “MURRICA!”. With an almost uncomfortable amount of firepower blowing everything up in your path. Controller wise it simply works! We didn’t feel any need to re-map any of the controls for Broforce. Go get it! Description: 45 degree 3-d fighting game. Although not too much fun in single player mode Gang Beasts has the potential of being the next Smash Brothers for the PC world. With generous abuse of the physics engine your fighters flop around an arena in order to knock each other out. Controls are easy to map but can be a little bizarre to master due to the nature of this game. Description: 2-d space jousting game with a lot of retro new-wave artwork. Works really well with just about every controller we hooked up to this game. Description: 2-d versus game with multiple modes and AI support. Cross-Platform multiplayer support and available for MAC for those who can get their Xbox controller working there. Description: Top-Down bullet hell shooter which is fun to play in both single player and multiplayer. Controller support for virtually any controller as it only needs 3 buttons and direction pads to play. Description: 45 degree 3-d game where it’s a game about avoidance while throwing your fellow woodland creatures under a bear. Automatically configured for Xbox game controllers so you are good to go. Description: Rocket League is full 3-d with split screen mode for local player support. An additional PC is required for 8 player team-on-team support. This game works very well with the Xbox controller. As stated in the start of this entry this is far from a complete list of PC based Couch/Party games that are available. You are welcome to leave comments below and I shall periodically update this list. I thank you for checking out our little blog and hope you have a wonderful day. Banana Pi M3 – How to make loyal customers walk away. Key idea of sweepstakes games is that you might enjoy and and awards even although you don’t produce any fee.